The first practical LED was developed in 1968 by Nick Holonyak Jr., known as "father of the light-emitting diode". LED are small semiconductors that emit light when an electric current passes through it. A diode consists of N-type material which is the cathode, bonded to P-type material which is the anode, with electrodes on each end. When voltage applied to the diode, free electrons move from a negatively charged area to a positively charged area. In the process electrons release energy in the form of photons, which are the most basic units of lights. After years of development, LED technology is now widely used in aviation, automotive, traffic signals, flashlights and many of our everyday electronic devices. With recent technology breakthroughs, LED has become powerful, efficient and affordable enough for general consumer lighting applications. Compare to your old incandescent bulb, LED lights consume 80% less energy and last 25 times longer. LEDs are the most efficient lights on the market today, they emit more lights per watt than any light bulbs out there. 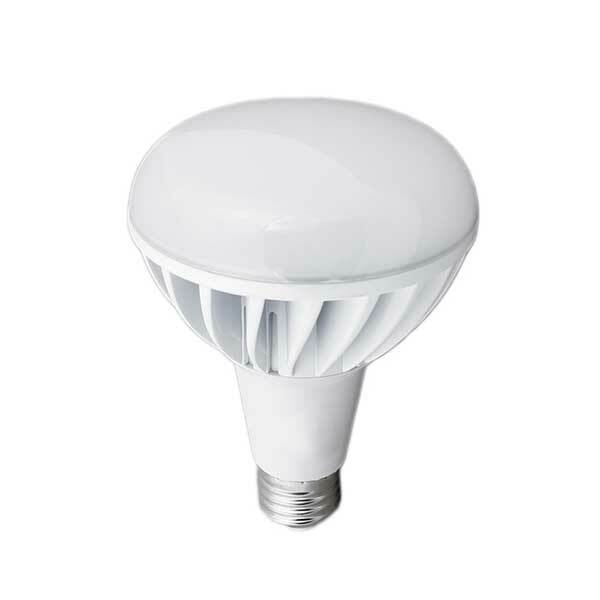 Typical performance of incandescent is around 11~15 lumens per watt compare to LEDs with a min. output of 60 lumen/watt or above. This is a saving of at least 80% of energy. They are much more efficient than incandescent or fluorescent bulbs. Relatively long useful life. 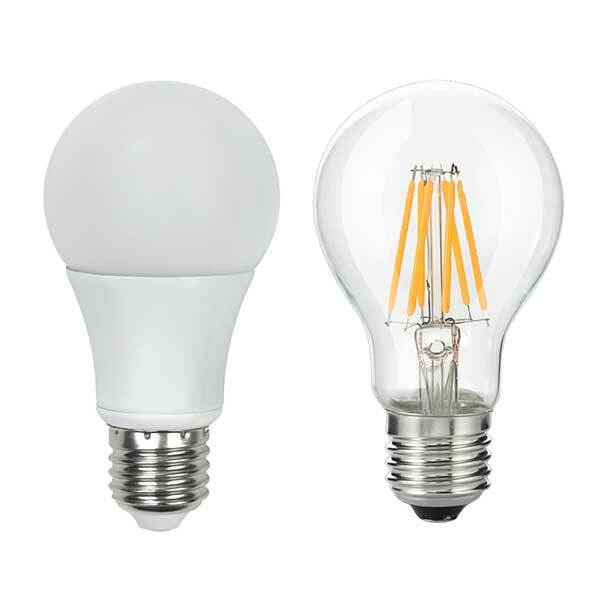 They last at least 25,000 to 50,000 hours and still remain 70% of its initial lumen output; compare to incandescent light bulbs at 1000-2000 hours and compact fluorescent light at 8000-10000 hours, depending on the conditions of use. LEDs light up instantly without flickering, and you don't have to wait for them to warm up to get the full brightness. 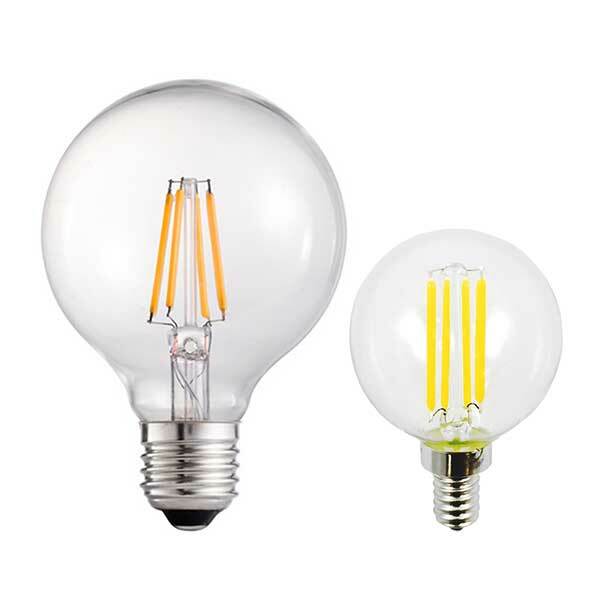 LEDs do not contain fragile filament or glass body, this makes them vibration resistant and durable. 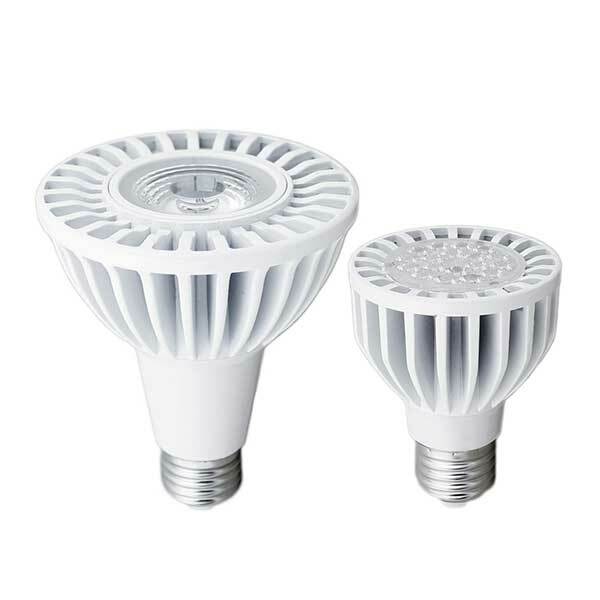 LEDs do not contain hazardous mercury or any other toxins. They do not emit Ultra-Violet (UV) rays and generate less heat than CFLs, which also means air conditioning systems have less heat to dispose of. They can last up to 30 times longer than average incandescent light bulbs, resulting in less landfill waste. When you enjoy the savings on energy, you are also saving our planet by reducing waste and CO₂ emissions. How are LED lighting different from other forms of lighting, such as fluorescent or incandescent? LEDs emit light in projected direction, comparing to incandescent or fluorescent bulbs emit light and heat in all direction. 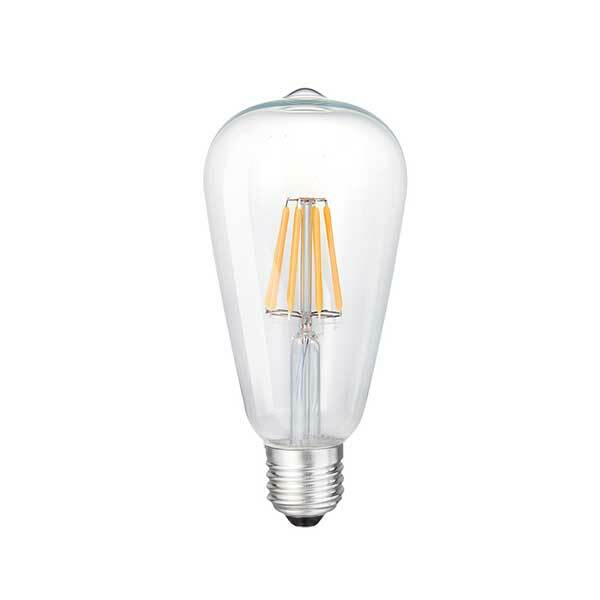 Incandescent bulbs create light on a simple principle. When electricity passes through a metal filament, it gets so hot then it glows. 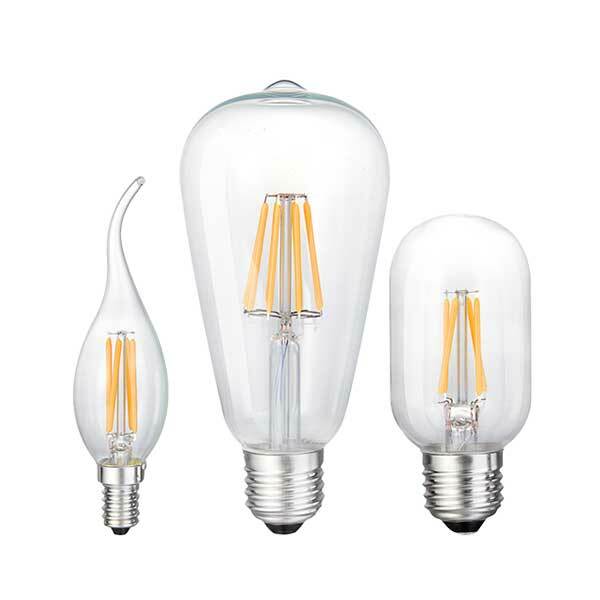 In general, incandescent bulbs convert at least 90% of the energy to heat instead of light. That's why a turned on incandescent bulb is extremely hot to the touch. In a CFL, an electric current is driven through a tube containing argon and mercury vapor. This reaction produces ultraviolet light that gets transformed into visible light by the fluorescent coating (called phosphor) on the side of the tube. 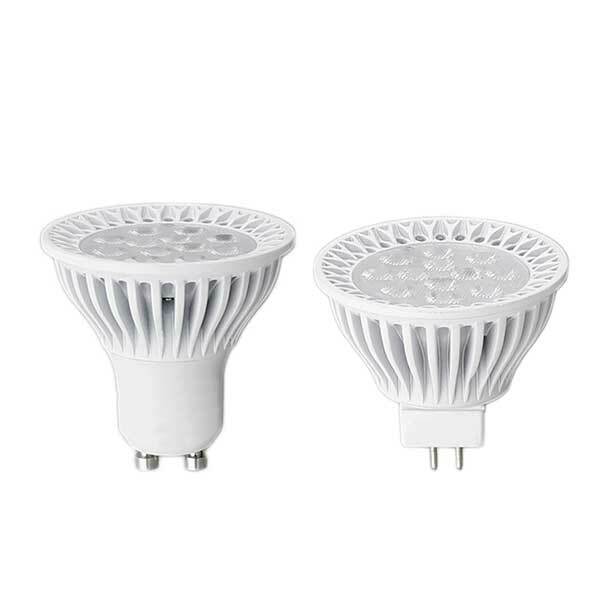 LED lighting products use light emitting diodes to produce light. The movement of electrons through a semiconductor material illuminates the tiny light sources we call LEDs. A small amount of heat is released backwards, into a heat sink, in a well-designed product; LEDs are basically cool to the touch. LED bulbs come in a variety of color temperatures, measured in Kelvin (K). The lower the Kelvin, the beam of light produced will appear more warm/yellow in tint. The higher the Kelvin, the beam of light produced will appear more cold/blue in tint. The picture below demonstrates the difference between the 4 common color temperatures. 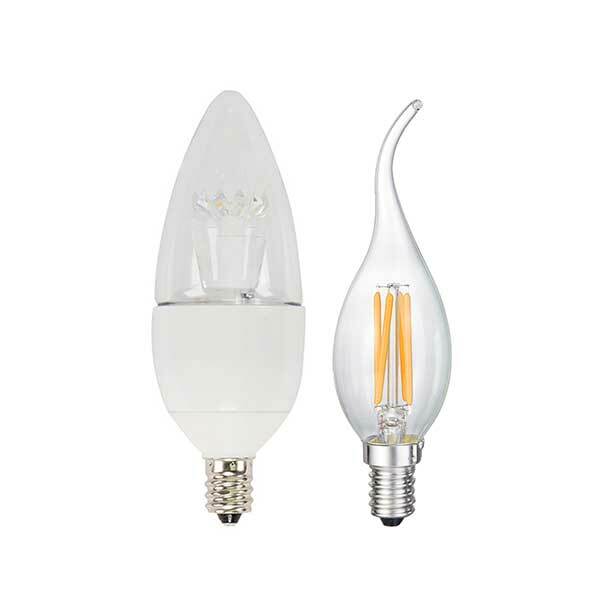 A Style is standard pear-shaped bulbs which are most commonly used for general applications. PAR Style stand for Parabolic Aluminized Reflector which are designed to focus the light. MR Style, or Multifaceted Reflectors, are similar to PAR style but incorporate a multifaceted mirrored surface which creates a higher intensity light output, often used in track and spot lighting. BR Style stand for Bulged Reflector, which designed with a bulged end as the name implies. CA Style is typically used with chandelier and are decoratively shaped as Candle flames. 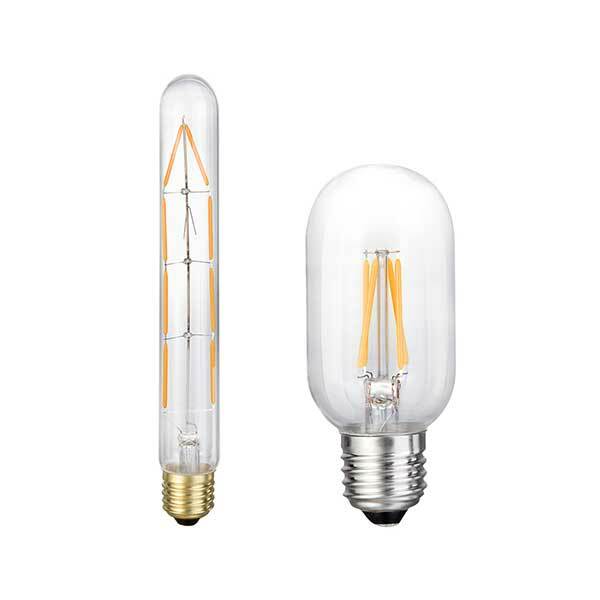 B Style also known as chandelier light bulbs, have a bulged base that tapers to a rounded or pointed tip. Miniature Style is referring to small in size lighting generally assigned a range of numbers between one and four digits. Miniature bulbs have different shapes which are identified by a letter. B is for Blister shaped miniature light bulbs. G denotes a Globular (globe) shaped light bulb. R is for a miniature bulb that comes in the shape of a Reflector. RP is a Rounded Parabolic reflector. S denotes a Straight-Sided miniature bulb. T is for Tubular miniature light bulbs. TL is for Tubular light bulbs that have a Lens-End. Linear Fluorescent Style is a very low pressure gas-discharge lamp. Linear fluorescent bulbs come in a wide variety of lengths, diameters, wattages, and color temperatures.